Visit the new SussexSeaFishing tackle shop as we have a new range of Tronix tackle and for the first month only, most items will be introduced at a special half price discount (39p or 49p per pack of hooks, beads, swivels and much more) so get yours quick by clicking here. Bait Clip - These keep the bait clipped to the rig body so that it is streamline when casting, allowing you to cast further as there is alot less resistance, they then unclip on impact with the water. 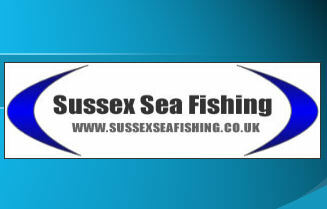 They come in a variety of types and designs so you can chose a design that is suitable to your fishing needs. There are a couple of tips i would suggest if you find that they sometime fail to unclip, is to give the line a few pulls after hitting the water or using a pair of pliers to unbend the clip slightly (as seen in the picture right, the middle bait clip). The good thing about some types of bait clip is that they are adjustable which allow to slide them up and down the line and gives you flexibility if you lose a hook or need to make a new snood quickly. Alternatively see the cascade swivels below, these are my personal favorite as they unclip everytime and keep the rig super streamline. Bead - These come in a variety of sizes and designs (as seen in pic to the right) and you need to chose the ones that best suit your type of fishing or situation. For instance pop up or floating beads may be good for fishing where there are a lot of crabs pinching the bait on the bottom of the sea bed. You can also use different colours and patterns to catch different types of fish and it is a case of trial and error to see which patterns work in your area. Yellow beads are commonly used to attract Whiting and a pattern of green and black beads has worked well for catching Plaice. Beads are also an essential piece of rig making kit, for how they are used in rig making please click here. Boom - These hold the bait away from the mainline so that it doesnt tangle. In a strong tide these can be great for using bunches of ragworm dropped over the side of a pier wall for Pollack. They are used on a variety of rigs and come in a huge range of designs, materials and sizes. Some anglers use metal Booms when fishing for bottom feeding fish like flounders as they hols the bait close to the bottom. adding a small lead shot to your snood can also be good for this. They are also widely used for boat fishing. Crimp - These are generally used to hold the swivel and beads in place on your rig body, they are a small piece of tube metal that you slide onto line and then gently squeeze in place with some pliers. Feeder - These new innovations have been adapted from Course fishing where they have been proven over many years as a highly successful tool in attracting fish. There are a variety of sea swim feeders now on the market. The general principle behind them is to attract fish to your bait by filling them with ground bait, which can be anything from worms, bread, fish guts, you decide. Expect these to be highly effective on the match fishing scene. Genie Clip - These are great for attatching weights to the rig body or tying to the end of you main line and attatching your rigs. When used like this they allow you to chang your rigs or weights quickly to try new tactics or just get in the water quickly especially if your match fishing and using pre baited rigs. Hooks - These vary on sizes depending on the type of bait you are using or the fish you are targeting. For example mullet will need small hooks (size 8 or 6), whereas Bass and Codling may use larger hooks such as 3/0.The picture shows hook sizes from right to left 6, 4, 2, 1, 1/0 and although the picture is not to scale, it is there to display how the size scale works. After these it then gets larger with 2/0 3/0 4/0 etc. Lead Lifts - This is a great product if you fish over rough ground as it lifts your lead to the surface when you reel in, rather then it dragging along the bottom and catching on snags. When over rough ground this can be the difference between catching and losing a fish. If your fishing rough/snaggy ground then you may also want to check out the rotten bottom rig. Mainline - This is the line that is on your reel. Rig Tubing - This is often used in rig making to cover the swivel that comes off the mainline, it prevents the snood from tangling around the rig body and acts as a fleixble type of boom. It can also be slid over the top hook of a pennel rig allowing the upper hook to be slid up and down the snood. If you are unsure of how to use this then visit the rigs page for a picture guide. Personally i always use clear rig tubing as i like most of my rigs to be as least detectable as possible but you can use bright colours to attract fish such as yellow for whiting. Sequins - These are good bait stops and fish attractors due to their shiny nature. they are often used for Plaice and Flounders as they are very visual hunters. I have also put one just above the hook when pleasure foat fishing for Garfish and Mackerel as the shine and glint in the sunlight attracts them to the bait. Snood - This is the term given to the length of line that connects to the hook and swivel/main rig body. American Snap Swivel- These are often used to clip a weight to the line or connect a rig to the mainline. Personally I would rather use a gemini genie clip or link ring when attatching to a weight as these are more secure and designed for casting which makes them safer when power casting. They are fine for light work though.They are also used on slider float rigs where part of the rig is clipped to the mainline after casting. Barrel & Crane Swivels - The two middle swivels are commonly used on rigs to connect snoods to the main rig body while allowing it to move and flow in the tide or when a fish is hooked. They are one of the most commonly used bits of kit in rig making. The different sizes relate to the strength and also the type of line you are using with the swivel. Cascade Swivel - These are used on clippedup rigs to keep the snood and bait streamline to the rig body and are used when trying to cast long distance, these are probably one of the best ways to clip down a rig and keep it streamline as they release 99.9% of the time. Weights - lead weights come in a huge range of sizes, shapes and designs each with a different purpose designed specifically for fishing a certain location or targeting a certain species. For example Grip leads are designed to grip the bottom and hold your bait in one position in strong tides or rough conditions, however, you can also get long grip leads with wires double the normal size for holding bottom at strong tidal venues. you can also get impact leads which have a breakaway impact type shield built in to clip your bait to. roller or plain leads with move slightly with the tide, the benefit of using a lighter roller type weight is that your bait will cover a large area and hopefully find where the fish are. There are also many other designs around so feel free to ask any questions you have about them.